Advancements in technology have allowed dentists to create new and improved dental treatments to improve the lives of millions of patients. NeoArch Implants are a new form of dental implants which help restore the function and aesthetic of you teeth, mouth and jaws without the need for dentures. 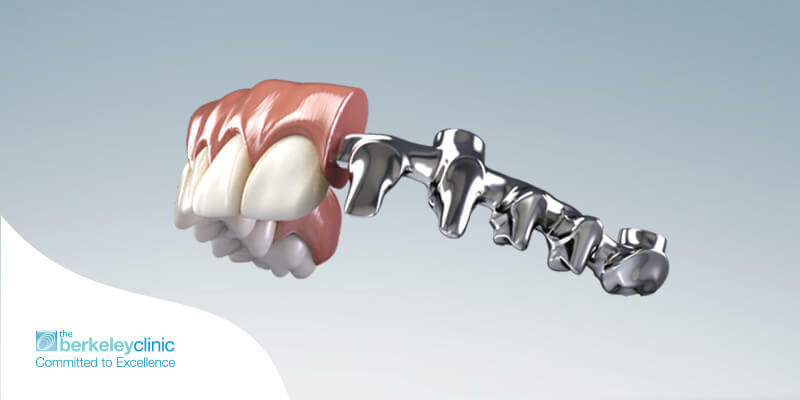 There are an immediate fix solution to replace missing teeth or dentures. This treatment is great for patients with bone loss as it reduces the need for bone grafting. Once the treatment is finished and the implants are fitted, you will see results and gain back functionality straight away. We understand that painful dental procedures are intimidating and we would like to assure you that pain from dentistry can be a thing of the past at our state of the art clinic. 96% of our patients surveyed agreed our dental implant glasgow treatments are painless. We only use the most advanced technology, from digital injection systems to our dental laser and our state of the art dental sedation suites that will ease you back into the dentistry process. Our patients and our Berkeley Clinic team both believe we offer the best dental implants available. We would like to thank all of our patients for their kind and thoughtful testimonials. Our experienced team work hard to make sure that our dental clinic in Glasgow is maintained to the highest standards both in practice and service.